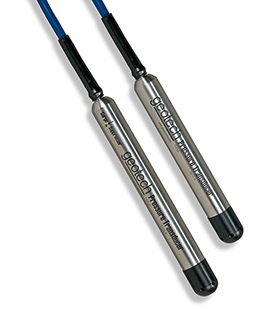 Geotech Gauge Pressure Transducers are vented in the cable for barometric compensation of level readings. 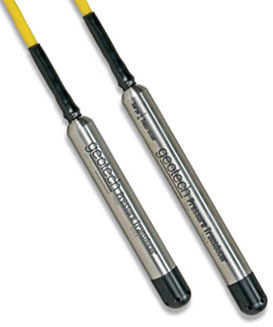 Geotech Vented Gauge Pressure Transducers are suitable for all pressure range measurements. User specified pressure ranges from .2-10 BAR (3–150 PSI). Conductivity measurements can be used to characterize water quality changes relative to a baseline or to estimate the concentration of contaminants. 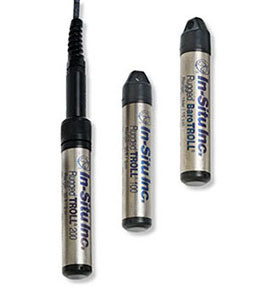 The In-Situ® Aqua TROLL 100 and Aqua TROLL 200 Instruments measure and log conductivity and temperature. The Aqua TROLL 200 adds water level logging. 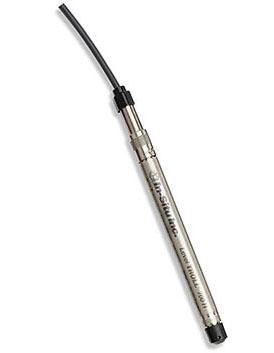 Absolute Pressure Transducers are used to measure the absolute pressure exerted by the atmosphere plus the pressure exerted by fluid that overlies the instrument sensor. 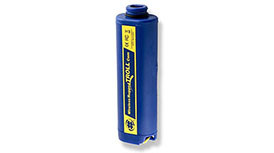 Absolute Pressure Transducers are used in systems where atmospheric pressure variation is known and accounted for. 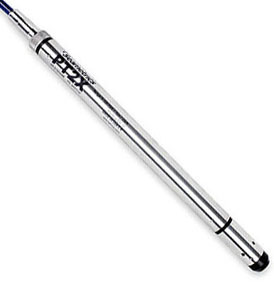 User specified pressure ranges from 1-100 BAR (15-1500 PSI). 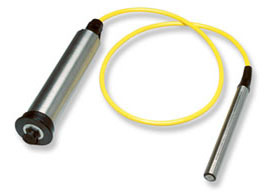 Sealed Gauge Transducers are used for applications measuring 13.8 BAR (200 PSI) and higher. Sealed Gauge Transducers do not compensate for changes in local atmospheric pressure, they are calibrated to a sealed nominal atmospheric pressure. 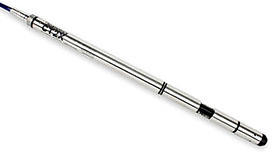 User specified pressure ranges from 7-100 BAR (100-1500 PSI). 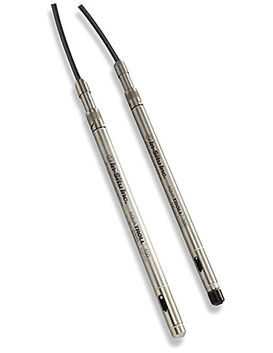 The Rugged TROLL 100 and 200 instruments are designed for long- and short-term groundwater and surface-water monitoring. The non-vented (absolute) instruments monitor and record changes in water level, pressure, and temperature. 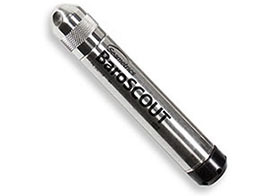 Use with a Rugged BaroTROLL® instrument for optimum accuracy. All instruments are compatible with the user-friendly Win-Situ® 5 or VuSitu® Mobile App software platform for programming and data retrieval. 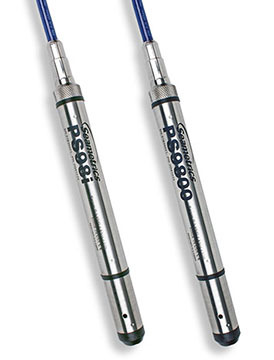 Seametrics PS9800 and PS98i pressure transducers are designed to provide trouble-free submersible operation in liquid environments. 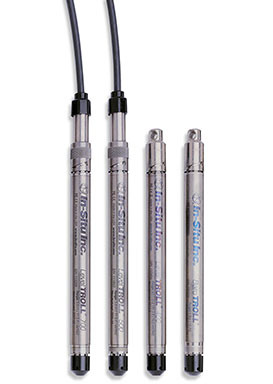 They feature a rugged and stable piezo-electric media isolated pressure element that is calibrated using process controlled NIST traceable equipment. Now you can comply with the Office of Surface Water by using the most accurate pressure transducer available. The Level TROLL 700H meets the surface-water specification of ±0.01 foot. 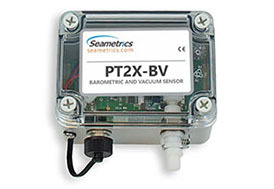 Seametrics PT12 pressure transducers are designed to provide trouble-free submersible operation in liquid environments. 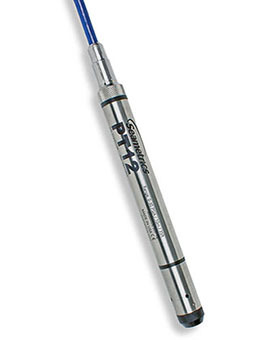 PT12 features a rugged and stable piezo-electric media isolated pressure element that compensates for temperature using an onboard digital chip. In-Situ's economical and secure wireless systems easily interface with In-Situ instrumentation providing real-time data from remote sites. Each cellular network helps to control project costs by minimizing travel time and allows data access anywhere, anytime. Solar powered telemetry system capable of sending data from a single instrument. Compact telemetry system capable of sending data from up to five instruments. 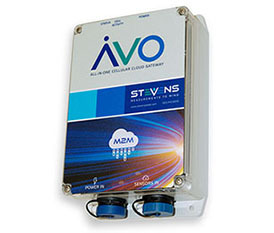 Avo is a complete monitoring station platform, with all hardware, software and services needed to start logging and pushing to the cloud your environmental data within minutes of unboxing. The waterproof and weatherproof (IP67) Avo easily mounts directly to a pole, or it can be placed inside another enclosure with an externally mounted antenna. Use state-of-the art Stevens-Connect software to configure hardware, visualize data, analyze measurements, manage alarms, calculations, and with internet connectivity. Dashboards are customizable, allowing users to store several unique dashboards to meet their project needs. 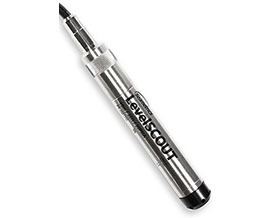 The Global Water Level Logger monitors and records water level data. It can record up to 81,759 readings and is programmable from one reading per second to one reading per day. Pressure ranges of 0-3', 0-15', 0-30', 0-60', 0-120', and 0-500' are available. A 25 foot cable is standard, with optional cable lengths to 500 feet available.